Cristina Farinha is a leading cultural professional based in Portugal with an outstanding international profile. Her work spans from research on cultural mobility –particularly concerning the performing arts sector and the internationalisation of artistic labour markets– to cultural policy making, creative cities and culture industries. 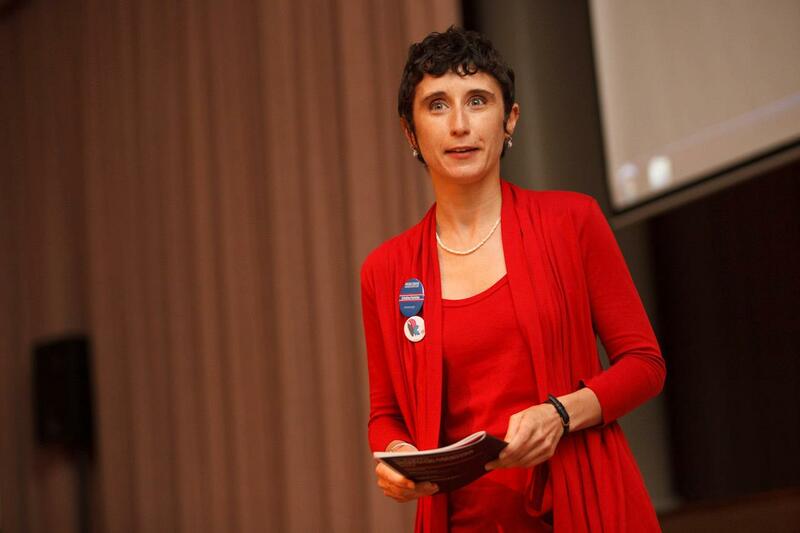 Cristina has worked throughout Europe for national and international organisations. In recent years, she has been involved in capacity building and network strengthening at regional and national levels concerning the development and internationalisation of culture and creative industries and their professionals. She is the Executive Director of ADDICT, Agency for the Development of the Culture and Creative Industries in northern Portugal. I met Cristina for the first time several years ago at a conference organized by Culturelink in Zagreb. Since then we have continued sharing our mutual interests in mobility-related topics and the curiosity for internationalisation and cultural networks. In this interview, which takes the form of a structured conversation, I asked Cristina –whom I warmly thank for her time– to elaborate on these topics, placing a special focus on European cultural projects and the specific cultural situation of Portugal. Your wide experience with cultural organizations and institutions at the international level has given you a profound knowledge of the needs, values and challenges of the cultural sector in Europe. What is, in your opinion, the current “state of culture” in Europe? We are living in particularly upsetting times in terms of freedom of movement and expression in Europe, which are basic conditions for any culture and society to develop and thrive. The EU as a political and, above all, as a social and cultural project is quite fragile at the moment. When the economic dimension prevails, policies are narrow-minded and short-term, thus we sadly witness a lack of vision and development planning for Europe on whole. Culture in the European Union is still a national affair without any solid recognised strategic role at the European and, in most cases, national level. But I have faith in the potential role that arts and culture can play in this scenario. Culture, notably now when the current migration and refugee crisis is directly touching our capacity to integrate and deal with others, is at the heart of Europe´s main challenges. The promotion of participation and dialogue across cultures are especially challenged. How can we transform our societies that are still based on ideas of national culture into multicultural ones? The relevance and sustainability of the European project also depends on experimenting new answers to this question. Many artists and culture professionals are becoming interested in openly engaging with political and economic spheres and contexts, working alongside communities and within territories in order to voice and propose new perspectives on the issues, needs and challenges we all face. This provides the sector with the opportunity to recognize its potential within a wider framework, breaking down silos by engaging and exploring relationships with other fields of society. I also believe that growing transnational collaborations and an emergent culture of sharing driven by digital means will give way to new and more participatory models of governance. These processes will allow for the creation of communities that will hopefully reinforce alternative voices and claims, contributing to a more relevant role of culture in actual governance, notably at local and community levels. Among its funding lines, the “Creative Europe programme provides support for European networks”. What do you think about the transnational work developed by networks? How important are they and why do we need them? Networks act as intermediaries that facilitate sector professionals and organisations access resources, whether information, funding, partners or knowledge. They also voice the sector at the European level by linking, representing and advocating for its needs beyond the national level. The international arena is highly complex and demanding and is composed of a mosaic of national norms, values, and practices. In addition, the international level constitutes itself as a field with its own intrinsic logic, stakeholders and procedures. These platforms, formal or informal, have been crucial to building the sector´s capacity and legitimacy over the last decades, facilitating the sharing of resources and helping professionals move through this complexity. In many countries, the sector lacks these types of intermediaries; collective organisation is minute, thus many turn to their European counterparts to find support and answers across borders. This year, 2015, marks the 30th anniversary of the “European Capitals of Culture” project. What do you think about the ECoC model? This initiative has matured in a very positive way; its concept and model have evolved to adapt to contemporary urban challenges. From functioning merely as an increased cultural and artistic events programme, it has grown into a full city project, placing culture at the centre of the debate on how to recreate and implement new urban visions. 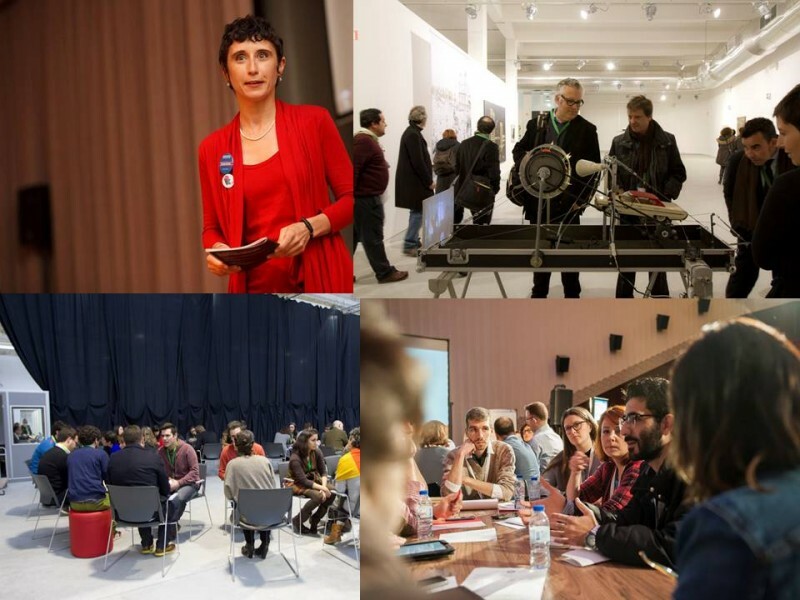 The ECoC project is about developing, in a participatory way, a cultural strategy that is integrated into a wider city project, deeply rooted in the local scene and community, while highlighting its European profile. I have had the privilege of experiencing ECoCs in different roles, from living in and visiting different cities that have hosted the event, i.e., Lisboa 1994 and Porto 2001 to name the Portuguese cases, to acting as a local researcher for the external ex-post evaluation of Guimarães 2012, and now I am a member of the Monitoring and Selection Committee dealing with the nominations from 2016 to 2022 on behalf of the European Parliament. The current national selection process provides the opportunity for candidates in each country to rethink their city's strategy via culture. Though only one will be successful, each candidate city ends up with a new plan and, importantly, new internal and international partnerships and alliances that will most likely contribute to changing the city. Actually, the ECoC candidacy process is a great opportunity for cities to take up and explore their European identity and role at the international level. Beyond national governments, cities and regions can become active players. This can happen by relating with other cities across borders and realizing and developing their European dimension. Beyond the “institutional narrative”, there are urgent needs, issues and values –artistic labour status, community values, alternative critical perspectives, new transnational bridges that go beyond the geopolitical agenda of the EU, to list a few– that should be addressed and discussed. In this sense, what is the role of independent professionals of the artistic and cultural sector? In this case, I would not entirely dissociate independent professionals from networks, as it is precisely these organisations that allow individuals to overcome their atomized condition by advocating for their concerns and challenges. Beyond the art and culture sector, portfolio careers are now common in other professional fields. Thus, the fragile social and labour conditions of artists are shared by many others. As a matter of fact, if they want to survive and make a difference, both free-lancers and organisations, even those that are institutionalised but work increasingly on a project basis, need to maintain a dynamic vision and pace, while constantly negotiating their position on the market/scene. This is especially true in a moment of disinvestment from the public sector and even withdrawal of the welfare state. Speaking of Portugal. What is the general situation in terms of artistic and cultural development? In the name of the economic crisis, the Portuguese government has disinvested in the field, disregarding its political and strategic importance. After the period between 1990 and 2000, when an infrastructural network –libraries, museums, theatre venues– was set up along with a support system, institutions saw their budgets increasingly cut. This affected activities and human resources. On the other hand, civil society and the fragile and recent independent scene have had to deal with a more irregular, unclear and reduced support. At the moment, the main public actors in terms of cultural policy and support are local authorities. Quite a few throughout the country have understood culture's strategic importance, especially concerning its capacity to add value to a territory, contribute to urban rehabilitation, build tourism, and serve as a tool for community development. This also allows for a much needed decentralisation of artistic and cultural practices, beyond the capital and large coastal cities. Moreover, there is a weak tradition of sponsorship and few cases of companies taking up their social responsibility to invest in this field. There is a lot of work to do in terms of creating the adequate regulations and incentives for the private sector. With the exception of a few foundations, it is not yet an active player in this field. Yet the sector keeps working in survival mode, despite the lack of a long-term structured vision and investment, along with the fact that many venues and cultural institutions lack programming and teams, and professionals have never seen their intermittent status recognised, therefore they struggle with very unstable work conditions. Professionals and organisations are becoming more internationally connected and are developing co-productions and joint work, in the performing arts and beyond. There are a myriad of festivals spanning diverse disciplines and touching the entire territory. We are also witnessing more and more foreign artists and projects, both in the framework of these festivals and due to the growing interest of many artists to come and live here. Finally, there are also many artists and culture professionals, especially the young and emerging, leaving the country to settle where they find better working and living conditions. Many engage in situations of permanent mobility, accumulating different homes and projects. These external connections then feed into our specific historical and geographical situation at the crossroads between Europe and the neighbouring Atlantic continents with whom we have close relations and many cultural affinities. The cities of Lisbon and Porto hold the main cultural infrastructures of the country and develop the most relevant and known cultural events. What are the primary strengths and differences between these two cities? Over the last decade, Porto has increased its cultural and artistic dynamic as a result of investments from the time it was Capital of Culture (2001). Increasing attention is being given to the use of public space by the current city council, which recognises culture as a strategic policy area. The increase of direct international flights, brought about by low cost companies, has also significantly increased the amount of tourists and foreign residents in the city, consequently provoking the explosion of related services and events. In addition, the industrial concentration in the north and the relevant network of universities have allowed for pioneering investment and a movement to ensure infrastructures and events that support the development of an emergent yet dynamic creative group of enterprises and projects, most notably in the areas of new media and ICT, architecture, design and fashion. Lisbon, twice as big as Porto, and the capital of the country´s still centralized government, has always been a more diverse and multicultural city. It is home to many immigrants from Portuguese speaking countries, notably from Africa, and this has influenced its cultural scene and production. Due to its centrality, proximity to decision-making, increased opportunities, and long-established cultural infrastructure, it is a nest for artists and culture professionals from all over the country and abroad. And what happens in terms of cultural and artistic development beyond Porto and Lisbon? The country´s dynamism at all levels is still concentrated along its coastline, notably in the metropolitan areas of Porto and Lisbon. Yet slowly, the almost deserted interior is attracting interest. This is due to the search for alternative lifestyles outside big cities and also is a result of previous investments in the creation of a network of high schools, universities and some cultural infrastructure. In addition, as I mentioned, some local authorities have understood the importance and potential strategic role of culture. Thus we have several cases throughout the country of very interesting activities, particularly in terms of festivals and/or work developed by artists/companies around specific locations or venues. For example, the cultural dynamic of the city of Guimarães –to which the 2012 ECoC title was both corollary and stimulus; the international hotspot status that O Espaço do Tempo in Montemor-o-Novo is assuming for the performing arts and residencies; the new creative hubs in the cities of Óbidos, São João da Madeira and Santo Tirso; the emergent cultural and creative scene in Braga, notably in the fields of music, theatre and photography; the interesting festival scene created in Minde by Materiais Diversos, in São Miguel/Açores with Walk & Talk, in Barcelos with Milhões em Festa, and in Vila do Conde with Circular and Curtas-Metragens; the work of Comédias do Minho and the long-established Art Biennial in Vila Nova de Cerveira in the north. Your current position is Executive Director of ADDICT – Agency for the development of culture and creative industries in Portugal. Could you please describe your mission and main activities? As an intermediary umbrella organisation, we act from individual support of our members –identifying partners and funding sources– to representing the sector in public discussions, diagnosing and voicing needs and challenges internally and abroad. This allows for the formation of international consortia and projects promoting cooperation, establishing international contacts and positioning the country in the field. ADDICT also supports, systematizes and gathers knowledge and information about the sector, helps organize events that provide networking, and also informal training opportunities. At the level of cultural cooperation and international networks development, such as the European Creative Hubs Forum, we are the national partner for the European Festivals Platform (EFFE), in which many Portuguese festivals are represented. This year, we are also linking European and Asian culture and creative hubs via a mapping and a new platform supported by the Asia-Europe Foundation (ASEF) through its ASEF Creative Networks programme. Finally, we support the entrepreneurship and the development and testing of new ideas, by promoting and participating in the conception and jury of several competitions – like the National Award for the Creative Industries and the Creative Business Cup-, mentoring programmes for start ups; contacts with business angels and investors. Being one of the only entities in the country that responds to this label, we receive many different requests and proposals that we try to find answers to or at least channel to others who might have answers. Thus, we need to work with others and we urge the creation of different initiatives and organisations in order to push this diverse macro sector forward. The term “cultural industry” could be criticized because it easily connects the whole frame of culture to commercial and economic development. What do you think about the connection between culture and economy? Where are its limits? Well, unable to avoid my research perspective, this debate mixes up concepts and realities that are of a different order. On the one hand, from a macro perspective, the economy is an intrinsic part of culture, so we are not talking about opposing entities. Moreover, artistic and cultural activities and professionals are part of the market, even though their motivations, processes, work, products and services are, in many cases but not always, of a different nature due to their symbolic and immaterial value. Arts and culture, as research for the development and exploration of new visions, ways of living and methodologies, need to remain free from market constraints. Hence, there is a need for support and long-term investment, especially since results cannot be measured nor expected in the same way as other areas. The creative industry has brought, even though still in a very limited and unsatisfactory way, culture to the political agenda. This is merely due to its potential and promise to contribute to economic development and create qualified jobs. While looking at culture only from this angle is narrow-minded, this process is contributing to breaking down some silos between artistic, cultural and creative disciplines as well as between the sector and other areas of society. My research has shown that professionals and organisations from this large and diverse macro sector share many identities, interests, profiles and challenges. Thus, it is worthwhile and important to coordinate and work together. In addition, working on the culture and creative industries as a macro concept provokes interesting opportunities for collaborations and mutual learning. The difficulty I experience is that it is complex to connect and work with different sectors and stakeholders with specific histories and expectations, when each discipline is poorly organized and we lack intermediaries. Furthermore, the issue of sustainability is crucial nowadays and the sector is not beyond this challenge. Yet promoting entrepreneurship is not only about creating successful enterprises that only seek profit, but also about promoting the right mix of competencies that allow for an active position in the market in order to create sustainable organisations (profit and/or non-profit) and projects. And this learning is also crucial to sector professionals. To conclude –as I know that you have been involved in several research projects related to the issue–, I would like to ask you about the specific topic of cultural and artistic mobility. What kind of interesting projects are currently being developed in Portugal? In terms of international cultural policies, should we push for mobility? If so, why? Due to the history and geography of Portugal –its position on the outskirt of Europe and also a door to Africa, the Americas and even Asia via the Atlantic– we have always had a paradoxical situation concerning mobility. On the one hand, we are a country of emigrants. Our considerable worldwide diaspora has recently increased due to the difficult economic situation that has led many qualified young people to leave the country, among these, many artists and cultural professionals. Our small scale and peripheral condition provokes the urge in many to leave to other lands in search of resources, whether new learning experiences and horizons or financial sustainability. But, paradoxically, circulation has been very limited, a one-way ticket, as we lack the financial strength and the know-how to hold a relevant position in the international scene and be part of significant networks. This situation is changing, however, and we are gradually more present in European cooperation projects; we are starting to take the lead regarding proposals and consortia; we are part of international co-productions; we host artists from abroad in our venues and numerous festivals; we engage in international exchanges, trainings and programmes, like the hugely popular Erasmus exchange, both sending and hosting students. Yet we do not have a particular body or plan to promote cultural and artistic mobility. It is very difficult to find support for travelling beyond some foundations that grant stays abroad and a very limited international fund from the government. Nowadays, challenges –be they economic, environmental, political or cultural– are more accentuated on the global scale. Thus, we are destined to cope and work together across borders in search of common ways and solutions. As human beings, and despite our many (cultural) differences, we share common grounds and a natural curiosity and need to move about and get to know each other. Thus, I am an enthusiastic supporter of freedom of movement and international cultural cooperation and exchange. Only by getting to know each other across our differences we can reach mutual respect and understanding. Yet this is a long path, full of conflicts and misunderstandings, especially since we still lack the competencies to communicate and work together across cultures.